Has it ever occurred to you that having a quick coffee at the counter could be the start of another journey, another story, a new path? 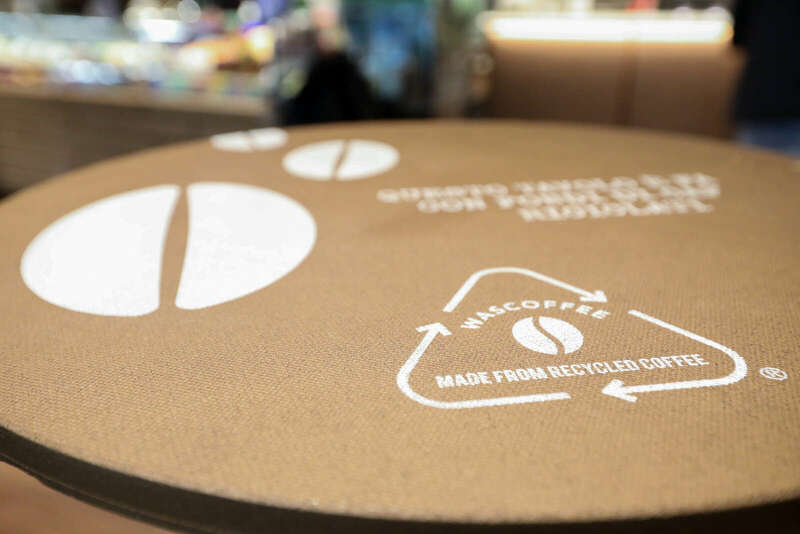 It certainly occurred to Autogrill and led to WASCOFFEE®, the open innovation project that explored opportunities to recycle one of the raw materials most symbolic of its business. 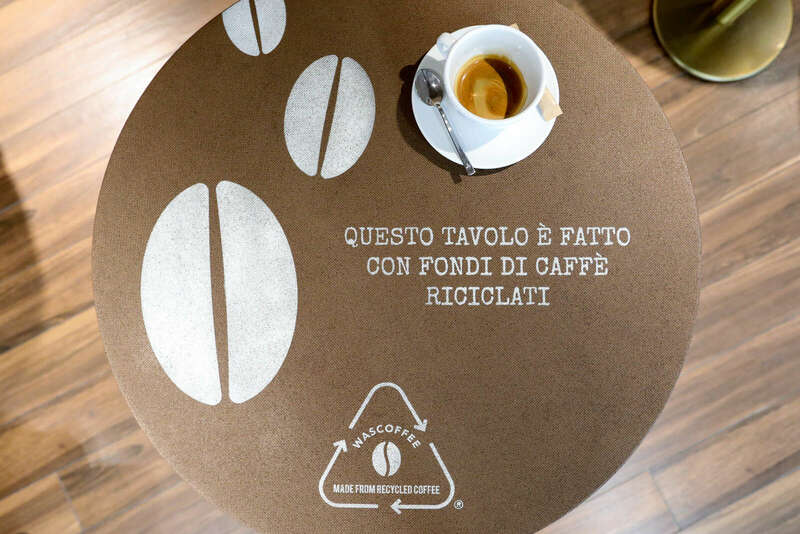 WASCOFFEE® is a 100% natural and recyclable material used to make eco-design furnishings.. 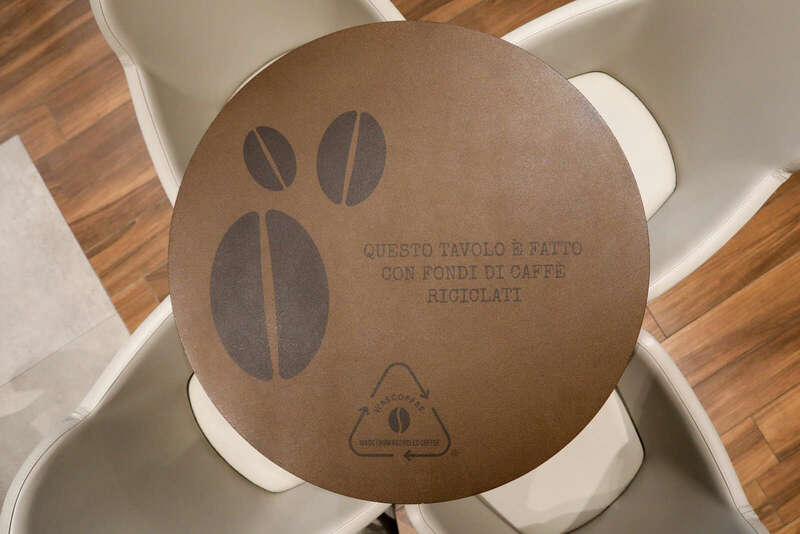 The coffee grounds left by millions of travellers in the Group’s Puro Gusto and Bistrot points of sale now undergo a process of transformation inspired by the principles of circular economy and have found a new use: they can become a table for example, or a wall panel, the very counter on which was served the cup that contained the coffee whose grounds are now living a second life. Over 100 million coffees a year served by Autogrill in Italy alone. A pilot project was launched around two years ago, at the end of 2017, with the introduction of the new material for the first time in the City Life Bistrot in Milan. WASCOFFEE® is now set to expand in Europe and across the Atlantic, at San Francisco Airport (in 2020). 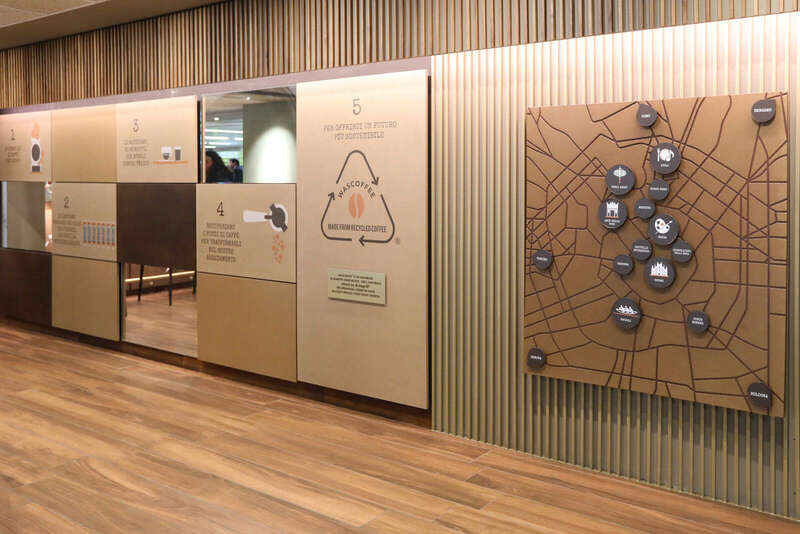 This objective was announced at a press event on 6 March in the Puro Gusto point of sale at Milan Linate Airport, where wall panelling tells the story of the coffee bean life cycle, to inform and engage the location’s users. 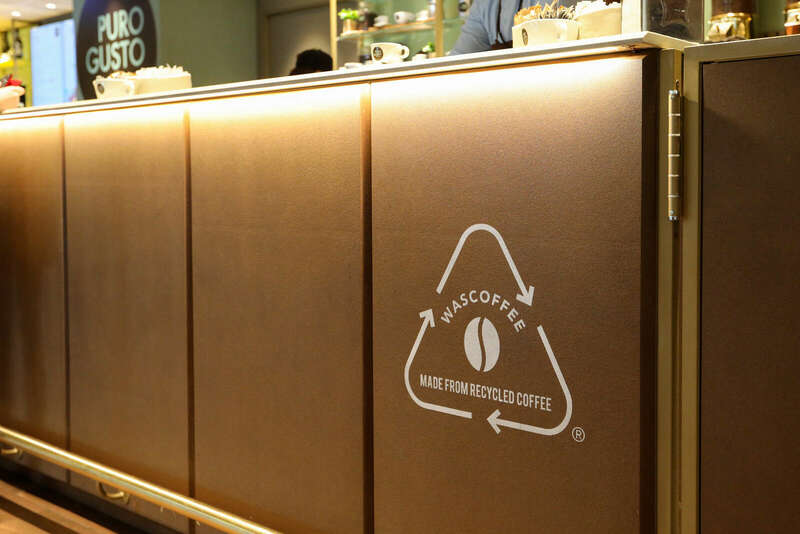 WASCOFFEE® is part of the Group’s wider sustainability programme, “A-Future”, and is based on a philosophy of eco-design and circular economy that aims to help minimize environmental impact and promote a culture of reuse. This, in turn, has the double advantage of recycling waste materials on one hand and on the other of using a green material that’s easy to dispose of..
“WASCOFFEE® represents the Group’s concrete commitment to research and development, which has led to the creation of a sustainable and innovative solution ideal for all the main furnishing elements initially planned for the Bistrot and Puro Gusto formats. Our aim is to help minimize Autogrill Group’s impact on the environment and promote a culture of reuse”. 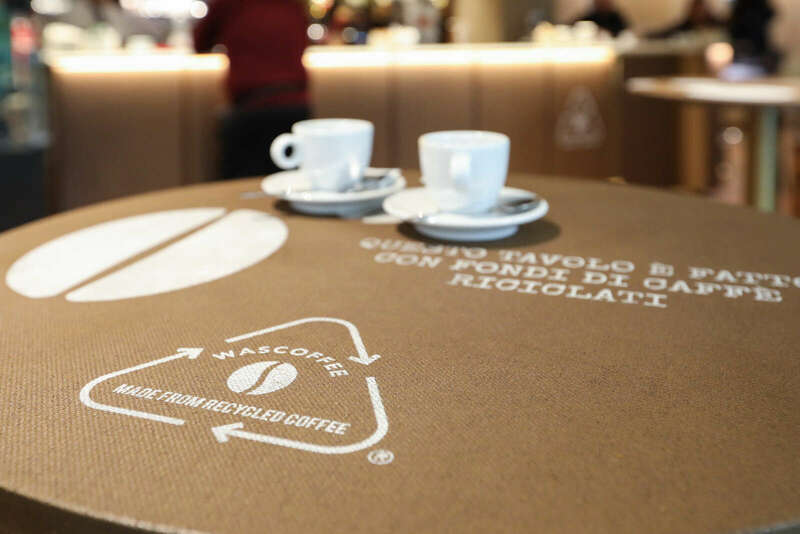 "We decided to present the state of progress on the WASCOFFEE® project at Linate Airport to give concrete proof of our commitment to sustainability in view of plans for a major upgrading of services there". The project was developed in collaboration with CMF Greentech, an Italian enterprise based in Cavezzo near Modena and specializing in eco-sustainable products. CostaGroup was the creative partner for the furnishings, while the Engineering Management Department of Politecnico di Milano was the organizational partner in the implementation, with Autogrill, of plans to use the new material on a national and international scale.